I’m a dork, but when I envision the person I want to be, it somehow always involves sipping tea throughout the day. I love tea, but I also love the process and atmosphere that comes with it. I just want to be the kind of girl that offers people tea when they come over, and as a result has long meaningful talks about life with her nearest and dearest. So basically, if I ever offer you tea you are required to accept so we can proceed to change the world ;). That being said, I was kind of horrified to learn that a lot of my favorite tea brands contain really awful toxins. For some reason I hadn’t thought of needing to find organic tea. So I started doing some research, to find out which brands I could rely on. 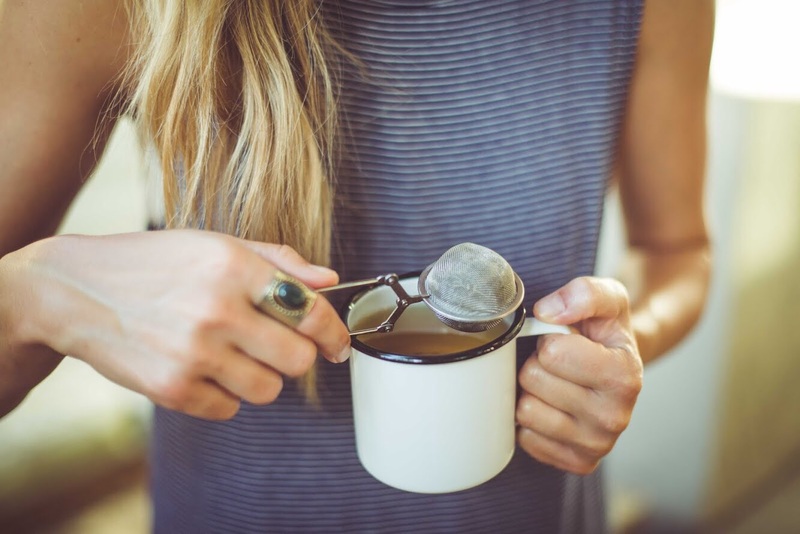 I learned that not only do you have to be careful about buying tea with toxins, pesticides, artificial ingredients, flavorings, and GMOs, but sometimes the packaging and tea bags can contain harmful plastics and carcinogens…yikes. So guys, without naming the bad guys (except seriously don’t buy Celestial Seasonings! ), just make sure the tea you’re buying is organic, non GMO tea. And make sure the packaging is safe, or buy loose leaf tea and use a glass or metal strainer. I recently bought this one (pictured in this post) for just $5, and it seriously changed my tea game! One of my favorite brands I’ve discovered is actually an Australian brand, called Tea With Me. They offer a range of teas that are not only organic, but specially formulated by doctors, nutritionists, and herbalists. 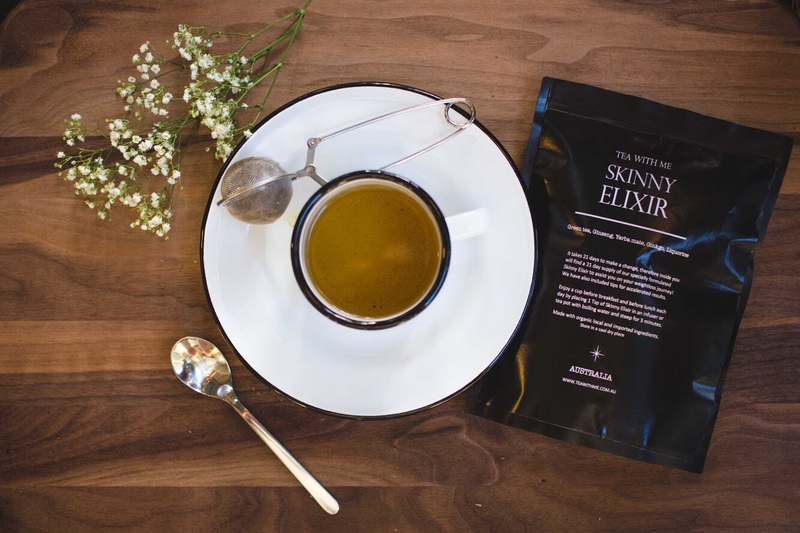 My favorite is their Skinny Elixir, because I’ve always had issues with digestion. 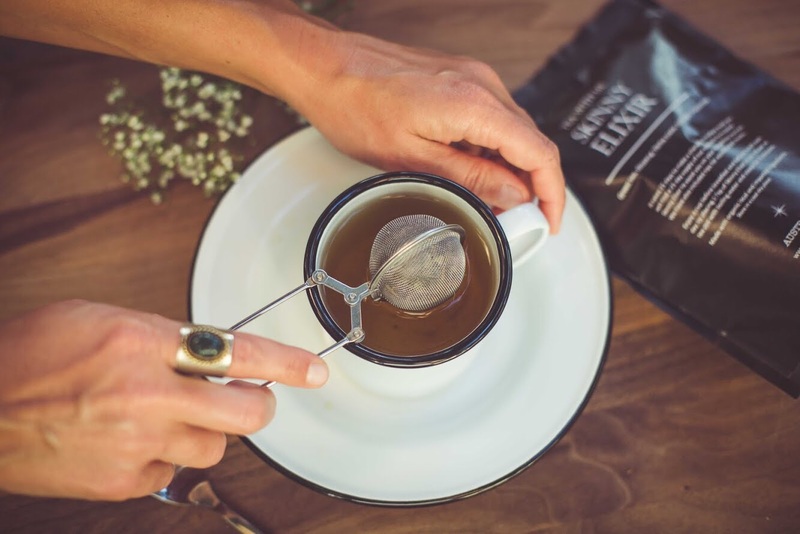 It’s actually really fun to see what all their different herbal teas and elixirs can do – check them out here. Alright, enough with the Tea PSA…you get it! Here’s to drinking lots of GOOD tea, come over so I can brew you some!